TE3 (Transport, Energy, Economics, Environment) is a multi-country computer simulation model capable of generating scenarios and suitable for policy analysis. The TE3 model is a simplified representation of the road passenger transport system, with a focus on car travel activity and car powertrain technologies. (3) Estimation of energy use and greenhouse gas emissions by means of an accounting framework. In essence, TE3 can be regarded as a hybrid model, as it follows an approach that contains top-down and bottom-up features. Core to the TE3 model is the representation of feedback loops. (3) To support strategic policymaking by facilitating policy analysis. The model accomplishes its objective by creating scenarios of the dynamic market penetration of alternative car technologies, taking into account direct and indirect emissions and incorporating a set of policy measures. Two non-European countries: China and the US. Time horizon ranging from the year 2000 to 2030.
vehicle (BEV) and fuel cell (FC). Seven fuels: gasoline, diesel, ethanol (E85), autogas, compressed natural gas (CNG), electricity and hydrogen. Three types of emissions: CO2, N2O, CH4. Four types of emissions analysis based on crude estimates: well-to-tank, tank-towheel, manufacturing and scrappage and lifecycle. Eleven policy measures including new gasoline and diesel car emissions standards and fuel taxation. To facilitate manageability and improve communication, the TE3 model is divided into nine interlinked modules: Population-GDP, Travel Demand, Car Stock, Car Attributes, Ownership and Driving Costs, Technology Choice, Energy, Emissions, and Policy. The figure above provides an overview of the model structure. Within the context of the REFLEX Project, the TE3 model can be used to meet the purposes outlined in the “Overview” section. 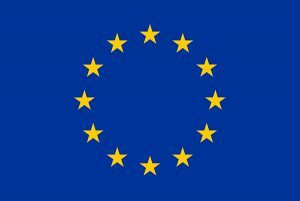 As part of the modelling work within the REFLEX Project, TE3 will be upgraded to include, in addition to the features of the current version, two main features. Firstly, a model expansion to include the following two additional non-European countries: India and Japan. Thus the upgraded model version will contain four key non-European car markets in total. The reason for this is the recognition of the need to consider the global automotive market when investigating the uptake of alternative car technology in Europe. We argue that it is not possible to come to a plausible estimation of electric vehicle (EV) market penetration in Europe without the explicit consideration of the global market dynamics related to electric vehicle battery (EVB) development and costs. In particular, EVB cost reductions are dependent on the economies of scale associated with an increasing number of EVs sold worldwide. Due to this, we suggest that the following key EV markets be considered in this study: USA, China, India and Japan. Secondly, the inclusion of additional feedback processes in TE3 is expected to lead to a more realistic representation of the system under consideration. Toward this end, the consideration of e.g. rebound effects emerges as a potentially useful line of research and, consequently, a desirable model addition. Finally, based on the project needs, adjustments can be undertaken to extend the model time horizon to 2040 or 2050. To date, the TE3 model has been applied to analyse policies concerning inter alia: stricter emissions standards for new conventional cars, electric car subsidies and conventional car purchase taxation. The analysis has been presented at international conferences (see the “References” section below). Gómez, J., Jochem, P., Fichtner, W., 2015. Energy Use and Emissions Impacts from Car Technologies Market Scenarios: A Multi-Country System Dynamics Model. Submitted to the 33rd International Conference of the System Dynamics Society. Cambridge, MA. Gómez, J., Jochem, P., Fichtner, W., 2015. Car Technologies and their Impact on Climate – A System Dynamics Approach. Submitted to the 14th World Conference on Transport Research (WCTR) of the World Conference on Transport Research Society (WCTRS). Shanghai. Gómez, J., Jochem, P., Fichtner, W., 2014. Car Technology Scenarios using System Dynamics: Exploring Market Penetration and Energy Consumption in China, Germany and US. In: 2014 Proceedings of the Student Chapter, System Dynamics Society. Delft. Gómez, J., Jochem, P., Fichtner, W., 2013. 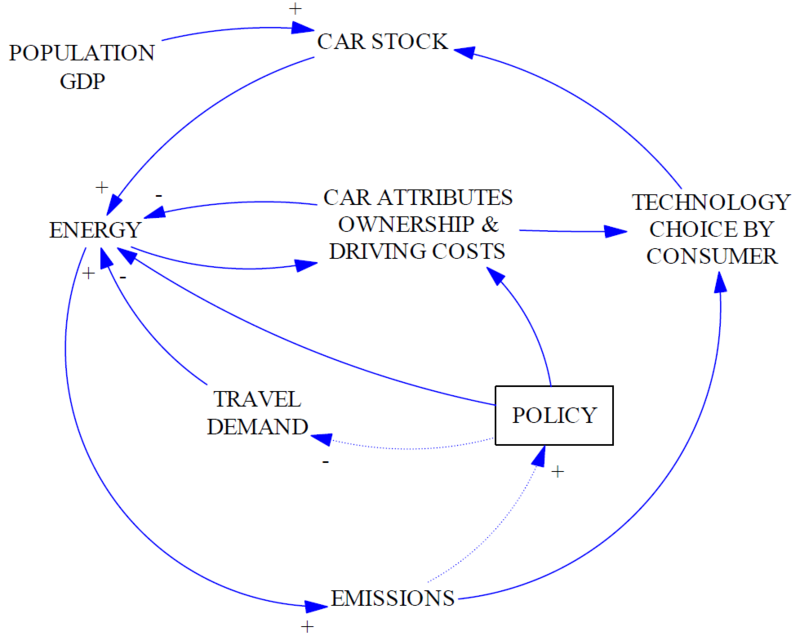 EV Market Development Pathways – An Application of System Dynamics for Policy Simulation. In: Proceedings of the 13th European IAEE Conference 2013. International Association for Energy Economics. Düsseldorf. Gómez, J., Jochem, P., Fichtner, W., 2013. EV Market Development Pathways – An Application of System Dynamics for Policy Simulation. In: Proceedings of the 27th International Electric Vehicle Symposium (EVS) 2013. Barcelona.